There are certain things you might think are quick that can actually cost you money when it comes to plumbing. Avoid the following quick fixes and call your plumber now before it costs you more later on. Incorrectly using glue on your sink's p-trap - This is a huge no-no! P-traps need to be changed out at certain intervals and using glue in the wrong section can actually be very bad, as well as toxic. Remember that your water flows through these pipes. Therefore, they should be installed according to the proper city code. If you don't know what that is and don't know how to do it, it's always best to use a local licensed plumber. Otherwise, you could be risking your health and causing a huge cost down the road. 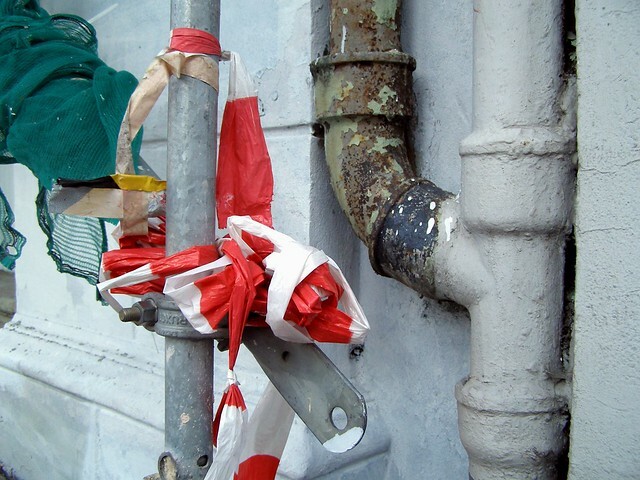 Using duct tape on leaks - While this might seem like a great way to solve an annoying leak, it can actually make it worse. Leaving the water running with an incorrect seal may cause further damage. If you have a leak, cut off the water source immediately and contact a plumber. Using the wrong caulk or sealant for the project - This might be unhealthy, ineffective, and also a code violation. Please make sure to use the correct sealant or caulk for the project at hand. If you don't know what that is, you shouldn't be doing the job. Remember, some jobs also require a permit and a licensed plumber who has been trained in the code. Gluing or sealing areas that aren't normally glued or sealed - Certain areas of piping and other plumbing materials should be fit together but not necessarily sealed with glue or other sealants. For instance, as mentioned above, certain sections of the p-trap should be twisted together and never glued for multiple reasons. If there are holes, leaks, or other reasons for a sealant in an unusual place, the plumbing is likely not installed correctly and a licensed plumber should be contacted. Using the wrong type of pipe for the project - Certain pipes are used for certain projects for a reason. There are specific pipes dedicated to carrying water, gas, and other materials. Not following the correct guidelines can actually be unsafe and against the city's code. Ask your local licensed plumber to get the job done correctly or you could be spending the money more than once if it's done wrong the first time. Also again, certain jobs require a permit and a properly licensed plumber.